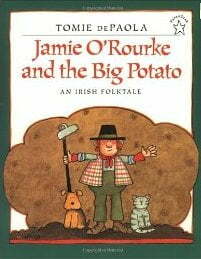 Jamie is the laziest man in all of Ireland and relies on his wife to grow his potatoes. When his wife hurts her back and needs to stay in bed, Jamie worries that he will starve. Then he meets a leprechaun who give him a magic potato seed and he devises a plan so he never has to worry about food again.